Photo provided by Diana Yoon. As an avid environmentalist and community organizer, Diana is passionate about liveable, prosperous, sustainable cities. At 22, she already has over six years of dedication to community engagement and climate action in cities across Ontario. Diana is pursuing a post-graduate certificate in Environmental Visual Communications, a joint program between the Royal Ontario Museum and Fleming College. Given her artistic talents and devotion to making climate action relatable and accessible, this program was a perfect fit. Even in her teens, Diana stood out as a community leader, volunteering with Peel Environmental Youth Alliance and engaging in municipal politics as a high school student. Diana brought her passion and determination for intersectional justice and climate action to Queen’s University, where she completed an undergraduate degree is in Human Geography & Environmental Studies. In her role at the Sustainability Office, she spearheaded the ‘Cap-It 2040’ campaign to highlight the Queen’s Climate Action Plan (CAP) to become carbon neutral by 2040, raising the profile of student positions on the CAP Implementation committee and putting pressure on the university administration to stay accountable to these targets. In her third year, she was the Deputy Commissioner of the Commission of Environment & Sustainability. In this role, Diana chaired the Sustainable Queen’s Forums bringing together over 20 environmental groups on campus and helping coordinate the university-wide Sustainability Week. As chair of Queen’s Backing Action on Climate Change (QBACC), Diana worked with her team to revise the university’s Responsible Investment Policy. QBACC engaged hundreds of students to sign proposed changes and effectively changed the policy to include Board members, students, alumni, and faculty on the Responsible Investment Review Committee. Under her leadership, QBACC ran on-campus events collaborating with the Queen’s Solar Design Team for “Careers in Sustainability Networking Night” and OPIRG Kingston for “The True Cost of Coal” art activism and fossil fuels event with The Beehive Collective. 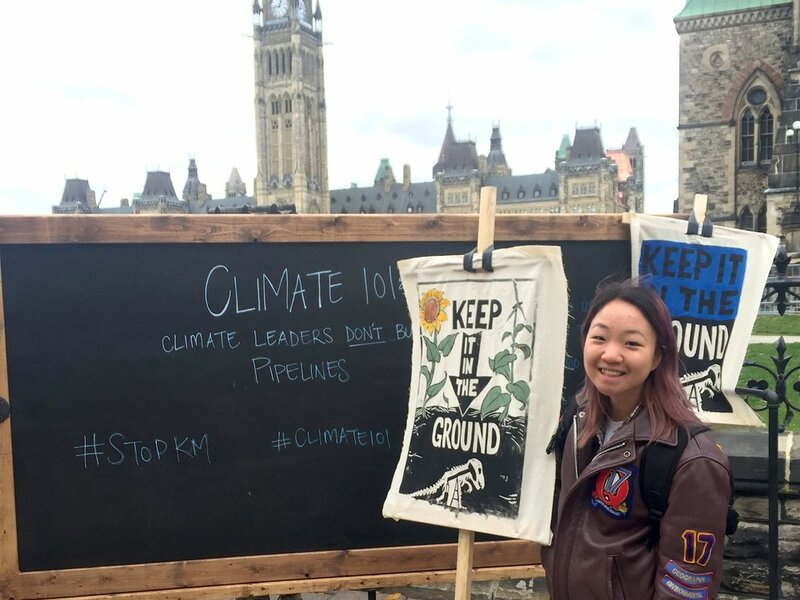 Off-campus, Diana helped mobilize Queen’s students and the Kingston Community to participate in climate and Indigenous rights activism. Working with Fossil Free Canada and 350 Canada, Diana was actively involved with Climate 101 protest against the Kinder Morgan pipeline as the Kingston lead organizer. She also worked with the Queen’s Native Student’s Association to organize a bus from Kingston to Toronto/tkaronto for the Standing Rock Solidarity March in November 2016. But Diana’s impact on her campus extends beyond the numerous leadership roles that she held throughout her degree. She is a mentor to the volunteers on her committees, an empathetic support to other scholars and activist, and inspiring down-to-earth activist in her daily life. 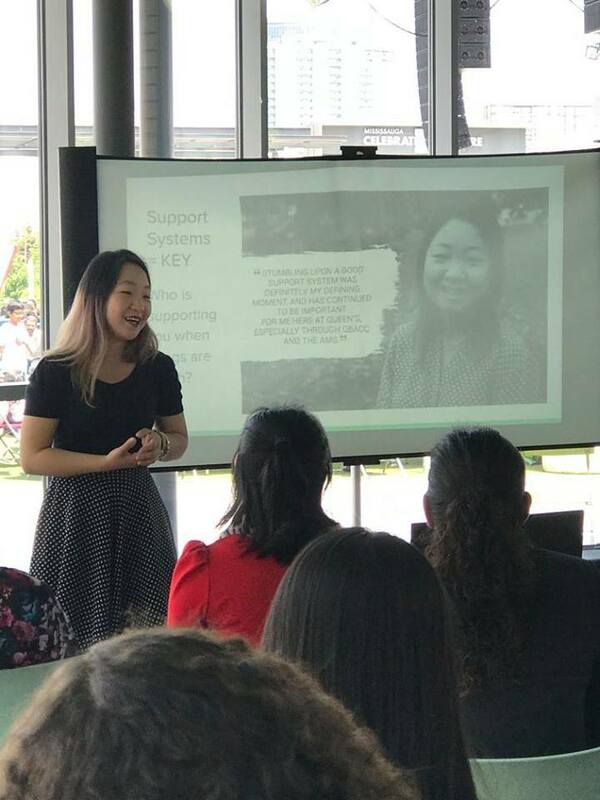 Recently, Diana was the keynote speaker at the Peel Environmental Youth Alliance (PEYA) annual general meeting in June 2017. She spoke on building support systems and prioritizing community care, in order to make environmental activism sustainable in the long-term. Her environmental journey seems to have come full circle, as PEYA was where she first grew her love for community engagement and sustainability. As she returns to the Greater Toronto Area after finishing her degree, she hopes to find opportunities to tackle climate action at home, in her local community. Diana was the Kingston lead organizer for the Climate 101 protest against Kinder Morgan oil sands pipeline. 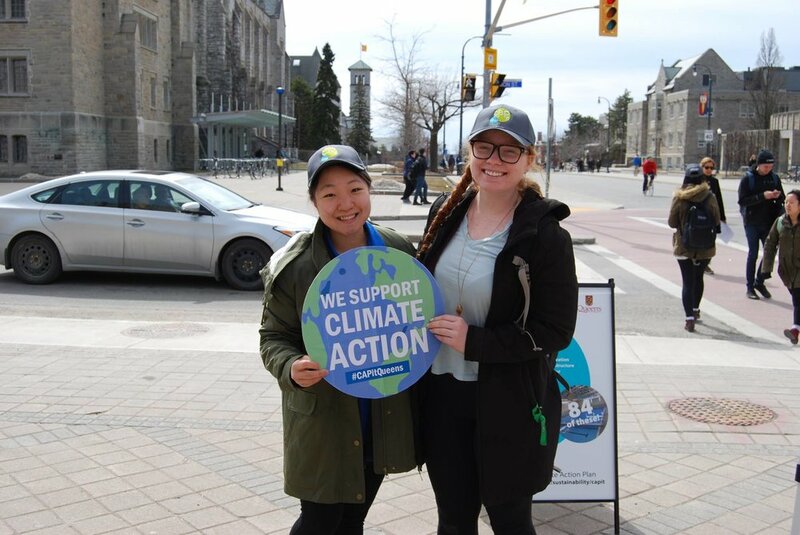 As the chair of Queen’s Backing Action on Climate Change, she helped mobilize and coordinate 20+ students and youth from Kingston to Ottawa. To revitalize the dialogue around the campus climate action plan, Diana championed the Cap-it 2040 campaign (with Cap-it baseball caps!) to hold the university accountable to their carbon emission targets. In June 2017, Diana was the keynote speaker at the Peel Environmental Youth Alliance (PEYA) Annual General Meeting. PEYA was where she started her environmental journey as a high school student years ago. Diana used to work and volunteer in community gardens, urban agriculture, and food security for several years with EcoSource in Mississauga and Loving Spoonful in Kingston. Garlic is her favourite vegetable to grow!